The American Bar Association has released the second edition of it's handbook for professionals. 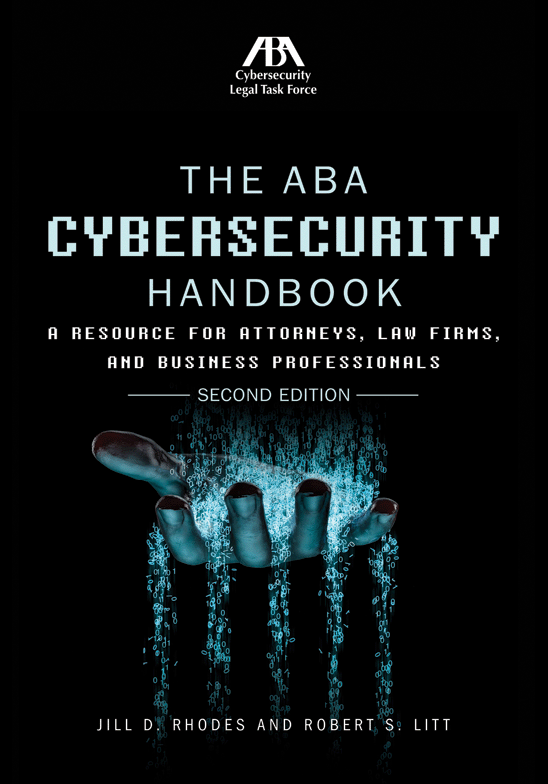 Entitled (rather unimaginatively :-)), "The ABA Cybersecurity Handbook: A Resource for Attorneys, Law Firms, and Business Professionals, Second Edition," the book is a compendium of information that "will enable lawyers and law firms to identify potential cybersecurity risks and prepare a response in the event of an attack. It addresses the current overarching threat as well as ethical issues and special considerations for law firms of all sizes. It also includes the most recent ABA Ethics Opinions and illustrates how to approach the subject of cybersecurity threats and issues with clients, as well as when and how to purchase and use cyber insurance." I think it is a highly useful volume for most attorneys. Of course, I might, because I wrote a chapter in it. That disclaimer aside, readers of the blog might want to see if it is of use and interest to them.